This month the profile is a bit different. While traveling to Prague last month I encountered this wonderful place. It was recommended by the staff at our Hotel Neruda. The ambiance is very relaxing and perfect for unwinding after a busy day. A very romantic setting as well. The Santini Garden Restaurant is situated in a quiet yet central location below the Prague Castle. They serve delicious modern Czech cuisine. During the summer days, there is a lovely Santini Garden seating area with beautiful views of the old Prague houses. The history of the building dates to the Middle Ages when it was reconstructed from the church and an adjacent guildhall. Visit the place that J. B. Santini Aichel (1677 – 1723) chose for his final rest. Santini was a brilliant Czech architect of Italian origin who created his own unique architectural style – the Baroque Gothic style. 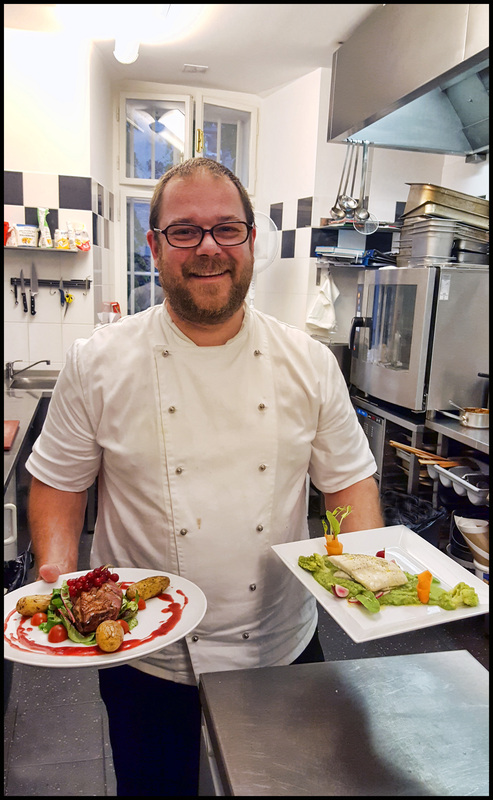 Enjoy moments of pleasure with good food in the heart of Prague, near the U.S. Embassy. I started cooking with my grandmother at the age of 7. And since then, I did not let go, and the cooking was a clear choice for me. Who or what has been your biggest inspirations during your career? They were the two biggest gastronomic icons – Heston Blumenthal and Gordon Ramsay. Rigatoni with basil pesto and seared chicken breast, decorated with Parmesan cheese. If any chef in the world (past or present) could prepare you a meal, who would you want that to be? Heston Blumenthal – Heston Marc Blumenthal, OBE is a British celebrity chef. He is the proprietor of The Fat Duck in Bray, Berkshire, one of four restaurants in Great Britain to have three Michelin stars; it was voted No. 1 in The World’s 50 Best Restaurants in 2005. I enjoy the environment, the people I work with, the raw materials and the discovery of new things and recipes. The chef is learning all his life if he is not lazy! If you would like to see your favorite local chef featured in this space, please send contact information to chester@chestersimpson.com. What a great article and photos. 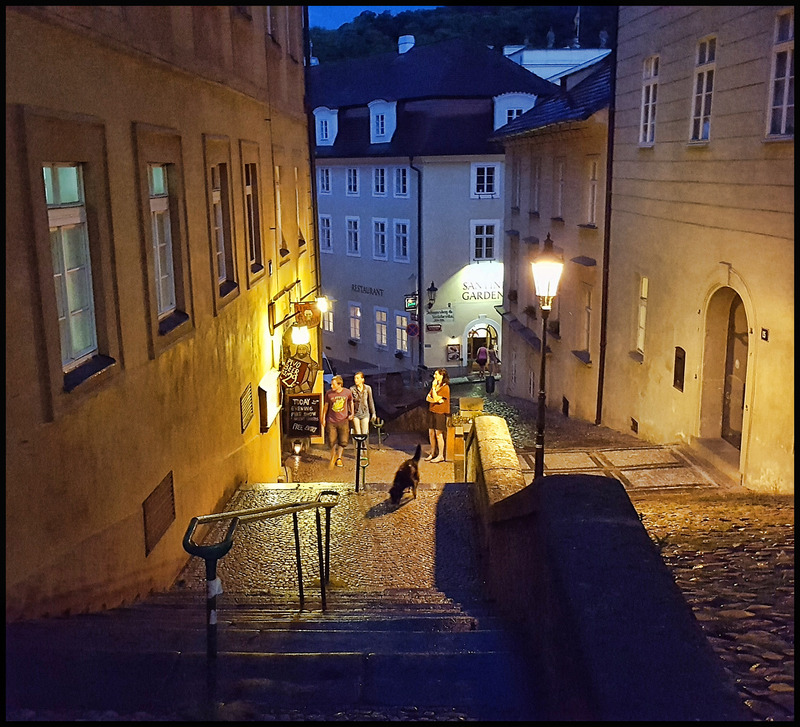 This was a lovely night in Prague.